In 2013 the OECD published a guideline that represents the gold standard for measuring subjective well-being in greater detail to collect data in the quality needed as a basis for efficient decisions to improve subjective well-being and the evaluation of those decisions to enable continuous learning. Unfortunately, most existing studies nevertheless do not measure subjective well-being according to this standard, as traditional methods (e.g., paper and pencil or personal interviews) require considerable resources (from both researchers and participants) to capture i) people’s subjective well-being at multiple points in time using general questionnaires; ii) people’s everyday life and everyday feelings; iii) people’s specific feelings in the moment; and iv) a combination of subjective and objective well-being measurements. To resolve this issue, we developed an app as a mobile assessment tool, the “Happiness Analyzer”. 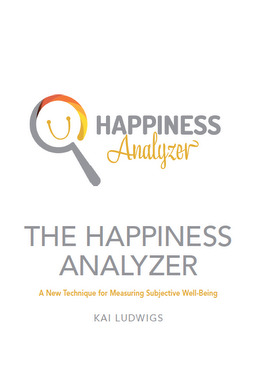 In this dissertation we review and discuss existing subjective well-being measurements, outline the functionalities of the Happiness Analyzer and show that it is possible to collect beneficial data with the technique, that the technique seems to have a beneficial effect on the user, that the timing of the data collection is flexible and that it is possible to collect representative datasets with this technique. In conclusion, we developed and evaluated a new technique for measuring subjective well-being and invite researchers, mayors, managers and therapists to use it to better understand people’s subjective well-being.